“Elevator Action” has always been an oxymoron. Elevators are not for action, elevators are for waiting, for loading screens, or, in an easy way to identify a beat ‘em up, for beating a swarm of enemies while making vertical progress. Elevators are great for sitcoms and dramas, because you can “trap” two (or more) characters and force them to bounce off each other and/or resolve issues, but in reality, even the reality of a video game, elevators are always going to be boring. “Elevator Action” may as well be “Doorway Panic” or “Paint Dries Z” as far as exciting titles go. Honestly, the original Elevator Action did nothing to dissuade the idea that elevators could be filled with action. It’s not a bad game, and I should probably give more credit to any game that is literally as old as I am, but it’s not exactly action packed, either. One screen, vertically scrolling along, and the best you can hope for is to open a door at precisely the right moment, assuming you can successfully enter a door at all. In a weird way, this may have been the first game to utilize “stealth” as part of the gameplay, so maybe we can trace Elevator Action to Metal Gear Solid and its many imitators. Most recently, there was Elevator Action Deluxe, which I picked up during some PSN flash sale. It’s one of those “the same game, but with modern conveniences” quasi-remakes that you often see pop up with old coin-op titles. It’s basically the thirty year old game, but now there are different layouts and a few random switch-ups, like a high score and “challenges” for each stage. Or maybe I’m wrong, I played it for like ten minutes, and then woke up the following morning disoriented and playing Bubsy for some reason. So, when I received the request for Elevator Action Returns, I actually confused the requested game with Elevator Action Deluxe, and audibly sighed at having to wring something interesting out of that snoozefest. But a quick trip to Wikipedia saved me the bother of playing that digital NyQuil, and I found that Elevator Action Returns, aka Elevator Action 2, was an arcade game that was released in 1994. Which… disqualifies it under the “no games I don’t own” clause. Lame. Oh, wait! There was a Saturn version… but not in America. Never been a big fan of importing, as my belief is that, in the wholeness of time, every game ever made will be rereleased with an English translation, one way or another, Amen. So, back to square one. But! Elevator Action 2 was included on the Playstation 2 Taito Legends 2 collection, and I own that! Yay! I can’t even remember why I own that game, though. Was it just for another copy of Puzzle Bobble? Qix? Or could I just not ignore the incredible draw of Violence Fight? No matter, I’ve got a copy of Elevator Action 2 to play, technically, so, for the first time in the FGC, let’s play a game I know absolutely nothing about. Is this… is this what joy feels like? Alright, time to spread the gospel. Ladies and gentlemen, Elevator Action 2 is a really, really great game. First of all, there’s the overall aesthetic. For reasons that I can only begin to speculate, everything here hews pretty close to 80’s GI Joe, with a dash of Die Hard-esque action movie spice. The main characters are Edie (short for Edbecca) Burret, the action girl in camo pants with the fastest draw and some pyro tendencies; Kart Bradfield, a dandy, blonde-haired gentleman who has the best running speed and hair; and Rambo, back in action under the alias Jad the Taff. All three are loaded to the bear with not only their requisite weapons, but all manner of GI Joe flourishes, like those single-lens headset communicator things and three total kneepads spread amongst three people. And, of course, there’s nothing uniform about this elite squad: Rambo looks like he just stepped out of Smash TV, while Kart is wearing a kicky leather vest that is sure to make all the other commandos totally jelly. Then we’ve got the stages, which start out Elevator Action shaped and then just go ahead and do whatever the hell they want. The first level, yes, is pretty much what you’d expect from the title, but level two brings the gang to a generally explosive airport that is predominantly horizontal, with only a few stories to explore all that elevator action. Stages continue like this, with a scant handful of areas where it really feels like there’s an emphasis on the titular elevators. What was focused on, however, is all the little things that I can’t imagine being even noticed in the noisy 90’s arcades. There’s graffiti everywhere, further adding to the “decaying urban” retro-futuristic 80’s aesthetic, and crumbling ceilings and dingy subways that really drive home the fact that Kart is going to hop right in the tub the minute he gets home. Even beyond the world-building, there are a number of little easter eggs hidden about, like elevatoring straight through an in-use bathroom amid one of the more hectic moments. Elevator Action 2 contains more detail than should be allowed in a game sharing floor space with Primal Rage. But it doesn’t matter if it looks pretty, how does it play? Great news on that front, as this may be the most unbridled fun I’ve had with a FGC game yet. First, and most importantly, you’ve got a life bar, so no more instant deaths… though you will die instantly if you leap down an elevator shaft or stand beneath a descending elevator, but, seriously, do that, and you deserve to lose your credit. And don’t worry, while you’ve got some body armor, the majority of your enemies are going down in a hit or two, so it’s time to get all First Blood on the legion of bad guys. In fact, and this may be the greatest compliment I can give an action game, the whole experience feels vaguely like a deliberate, measured, and more forgiving Contra. Even better than Contra (what an odd phrase), there’s even a number of different options in your toy chest, so if you’re not so much into riddling your opponents with bullets, you can stomp them with elevators, lure them into mines, or kick over those Michael Bay barrels for explosive results. And why not put away your pistol, and whip out a grenade or rocket launcher? The sky is the limit, which is convenient when you’re dodging mooks with jetpacks. If I had to complain about anything about this game, it’s length. The game is a mere six levels long, which is ideal for arcades or someone who plays at least four video games a week, but I could see being a might disappointed if you shelled out for this game back in the Saturn days. I completed this game in about a half hour, and with, I believe, eight credits. Even using expensive tokens, that’s like a whole four bucks, so I would likely be a bit miffed if I paid ten times that in 90’s dollars for the home experience. Of course, I do own the game as part of a compilation of 38 other games, and I think I got it for a Jackson, so I technically paid… 51¢ for Elevator Action 2. I’d pay that for Jad the Taff alone! Minor gripe aside, I have nothing to complain about. Elevator Action 2 puts the action back in elevators, and that’s something the world sorely needed. System: Sega Saturn for the real console port, Playstation 2 or Xbox for the compilation with the arcade version. Pick your poison. Number of Players: And it’s two player! I know I’ve said this before, but I would really like to get some two player elevator action going to complete the experience, and see if it’s double the fun with a buddy. I’m guessing it’s at least 75% more fun. Favorite Character: I wound up using Edbecca the most, as her ability to shoot the fastest is ideal in a game where you fire off about 10,000 rounds in response to a door opening. Conversely, Rambo is on notice, because he moves about as fast as a real life elevator. Going down? 64th FGC Entry: And, for the first time in a while, the article has absolutely nothing to do with a N64 game. Poor planning! Elevator Action Bloodlines: I want to say the final boss and head terrorist of Elevator Action 2 is supposed to be the disgraced “hero” of Elevator Action 1. Or, maybe not, and they just shop at the same tailor. 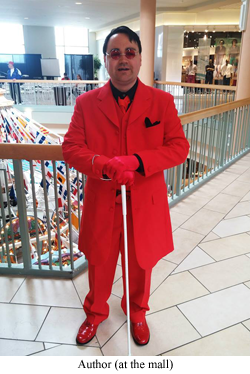 Whatever the case, I simply cannot disparage a man in a red suit. Missed opportunity: It’s a shame there’s no 90’s style commercial for this game. It would really complete the trifecta. Violence Fight? It’s a real thing, and it’s as bad as you imagine. Did you know? Jad the Taff isn’t just some made up Engrish, it’s denoting that Rambo is currently disguising himself as a Welshman. There’s no such excuse for Edie Burret, which, presumably, has a pronunciation that sounds vaguely like “any bullet”. And the other guy, obviously, is named after Super Mario Kart, released just two years prior. Would I play again? Hell yes. Want some elaboration? Please reread the article. I’ll wait. What’s Next? M Yesa Aravena has chosen… “Clock Tower; any one in the series”. Huh. That’s not very specific… but I’ll see what I can do. Please look forward to it! Posted by gogglebob. Categories: Fustian Gaming Challenge. Tags: arcade, elevator action, fgc, playstation 2, radical, Reader’s Choice, saturn, square-enix, taito, two players, xbox. Okay, guess I’ll talk about the actual game in the article now…Yeah, Elevator Action Returns is awesome, even if its relation to the original game is tenuous at best. Definitely not a bad thing to reinvent it though, considering the original just involved some dork popping into rooms on samey floors to find files and getting shot dead a lot.